Description: OSituated between the campuses of both schools, the words "grow" and "conserve" are accompanied by scenes depicting a garden and a natural landscape. 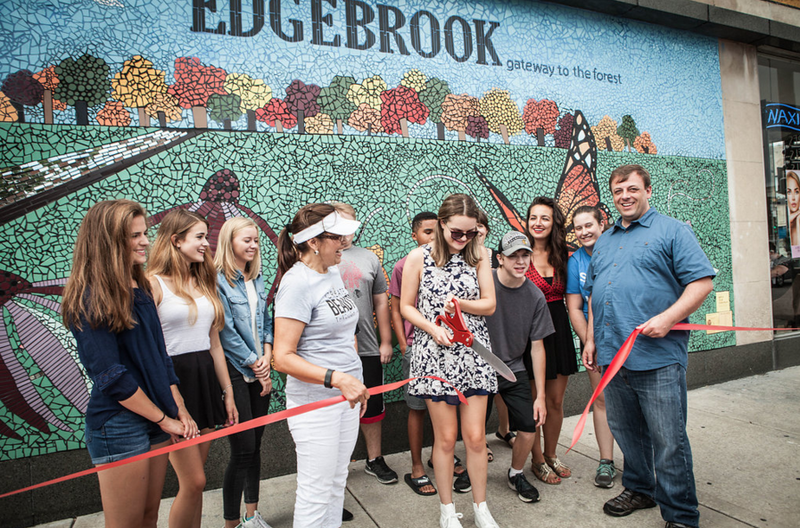 Description: Continuing our beautification of the Edgebrook neighborhood, we worked with students through After School Matters to enhance the community's main intersection with a mural that highlights Edgebrook's motto, "Gateway to the Forest." Description: GSM beautified the outdoor wide fired oven for this cozy cookery store. 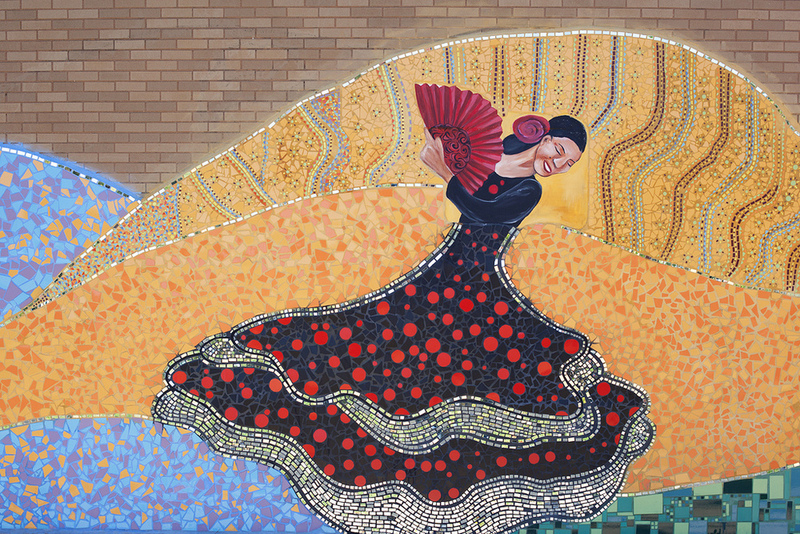 Description: The role that family plays in instilling values such as resilience and passion in children form the foundation for this murals which spans the front entrance of this school. 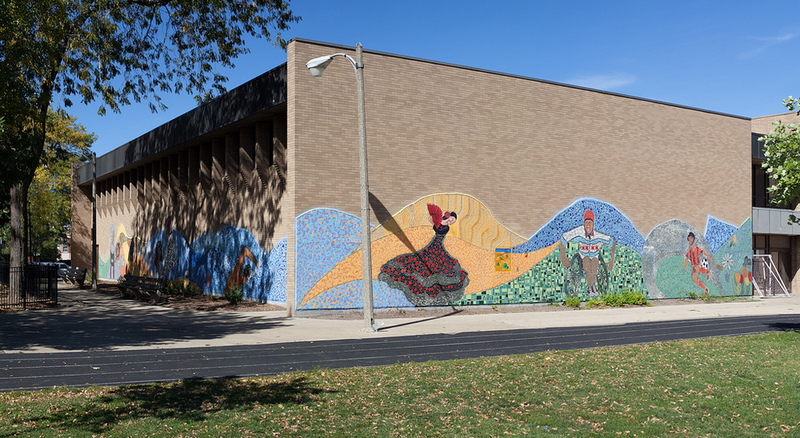 Description: Wrapping around the north and east entrances of the school building that faces Division Ave, this mural emphasizes the natural world.